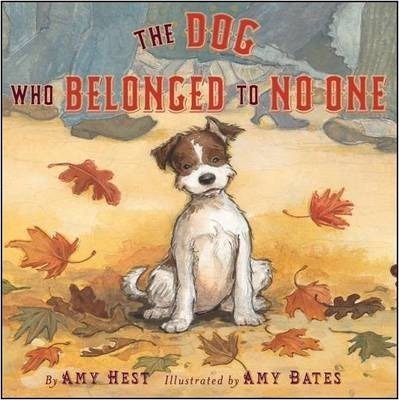 This is a lyrical picture book reminiscent of such greats as Arnold Lobel or Bill Steig, by best-selling author Amy Hest in which a lonely, wandering little dog who belongs to no one finds his true best friend and a perfect home with a shy little girl named Lia. This story is written beautifully with an old-fashioned, yet innovative style, as the spreads move back and forth between the dog and little girl's parallel stories until they are united together in the end. Amy Hest's books have sold nearly 1 million copies accumulated. Imprint Harry N. Abrams, Inc.
Amy Hest has written over 30 books including the New York Times bestseller Kiss Goodnight, In the Rain with Baby Duck and When Jessie Came Across the Sea which was the recipient of the Christopher Medal. She lives in New York City, USA. Amy Bates is the illustrator of Hair For Mama and Celebrating Psalm 118 by Karma Wilson. She lives in Philadelphia, USA.